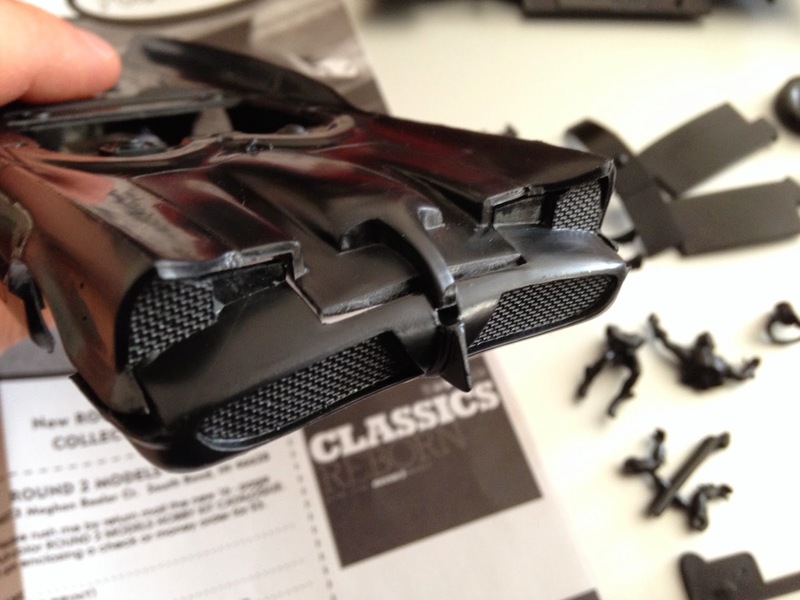 MiniModelPaint Studios: Batmobile. The plastic model car you deserve. 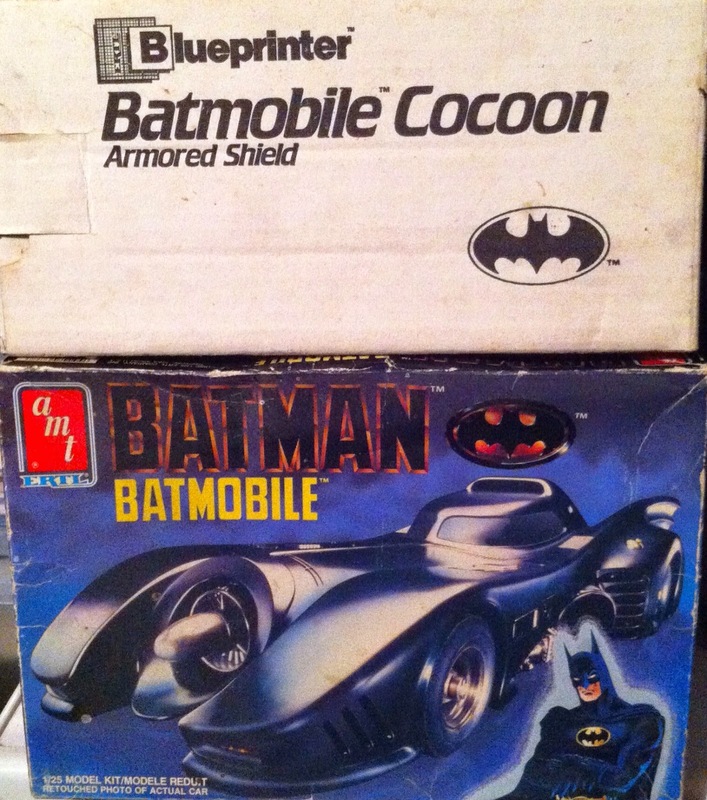 I have been in love with model Batmobiles for a couple of decades (and a bit). 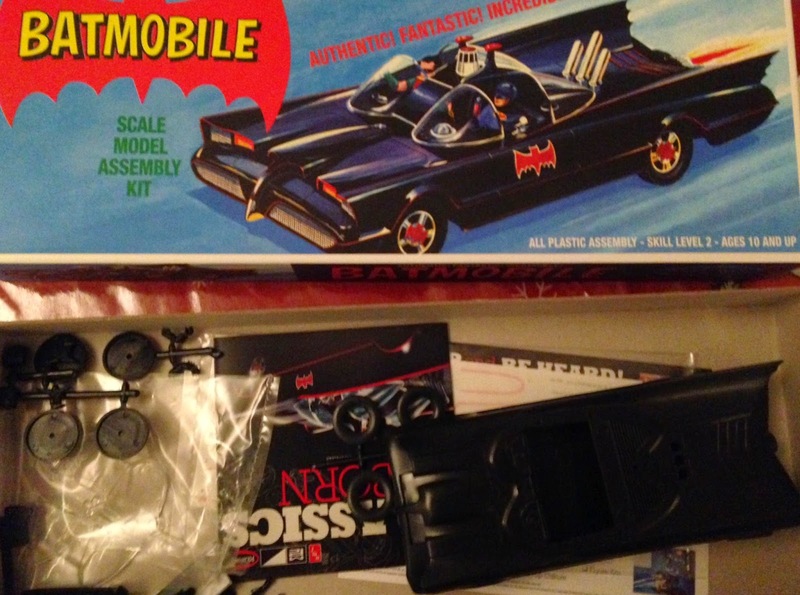 I bought my first ERTL/AMT kit of the Tim Burton 'mobile around 1989/90, and made a pig's ear of it. Loved the kit though - enough that I bought some more on eBay, once that was a thing you could do. I also bought the optional cocoon, that was originally only available to Blueprinter club members. Awesome. I also have the same car in 1:35 from Ban Dai - it's meant to be a snap kit, but let's be serious, eh? 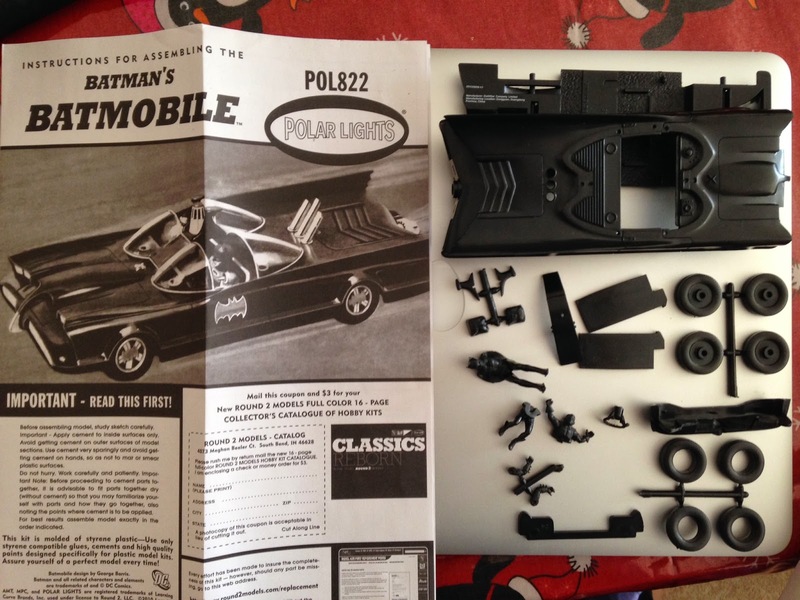 Christmas this year also brought me a lovely tin from Polar Lights - inside is the 1966 Batmobile, reissued from the original moulds, using the original tooling. This is exciting, and a pain in the arse all at the same time. The car, as you may or may not know, was a customised Lincoln Futura concept car, so you probably won't be able to get an authentic-enough 1:1 donor car to 'accurize'. This may have to do for now. A bit of dry-fitting shows that the original & authentic moulds & tooling will require me to get a lot of filler and files out of the cupboard to keep the lines as clean as they should be. I can't wait to find some time to work on this gorgeous car. 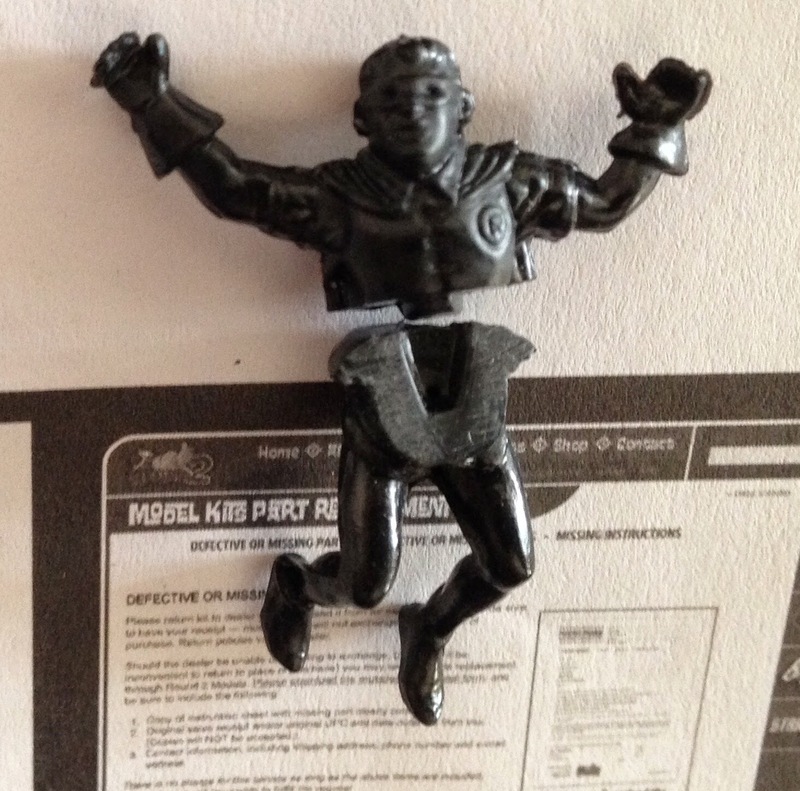 Once the chrome is stripped, I'll get the Alclad II lacquers out. Gloss black on the whole car, and then shiny silvers and chromes on the brightwork. 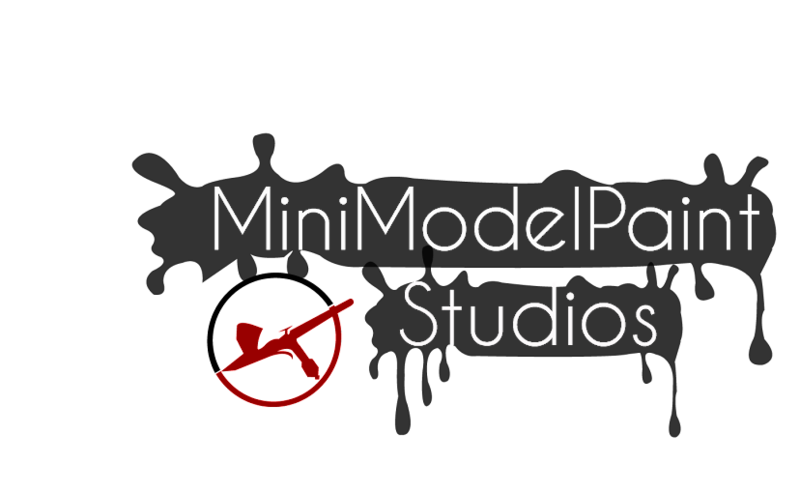 There are also loads of red pinstripe decals for the details (some of these may end up painted on). A deep gloss varnish with NO weathering will finish the whole thing off before the figures are added. The moulding on the figures is adequate - it's not up to the standard of minis we're used to in 2015, but with some carefully applied paint, they'll look ace. Feel free to leave comments, observations and corrections below!